Google has conditioned us to have high expectations when it comes to search, and Amazon raised the bar even further with its product filtering, or faceted search, for eCommerce. Despite these high expectations among consumers, many small to mid-sized eCommerce firms don’t pay much attention to site search beyond the functionality that’s baked into their eCommerce platform. Econsultancy estimates that nearly one-third of online shoppers use internal site search, and those shoppers tend to convert five to six times higher than non-search visitors. That makes site search is one of the most important optimizations that eCommerce firms can make to improve conversions and maximize revenue. There has been a lot written about eCommerce design, but most of this advice is focused on product imagery and page layouts—not site search. But, the most powerful search functionality in the world is useless if it’s not intuitive for the user. This makes it important to consider design first and functionality second when making the most of your site search. 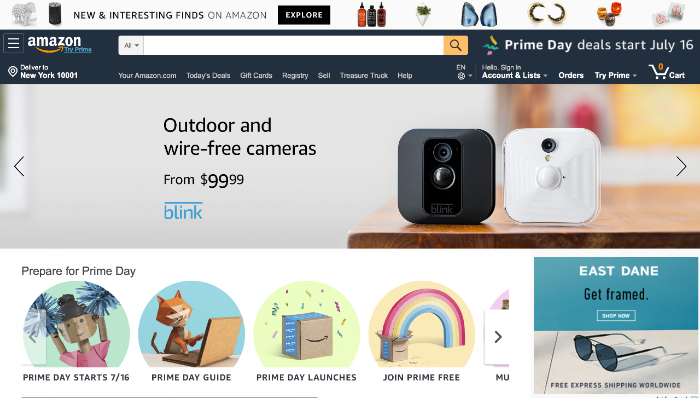 Amazon is, unsurprisingly, the best example of good site search design, with an easy to find input field at the top-left of the screen, where the eye is naturally drawn. It’s also larger than a typical input field, taking up nearly half the page width, and contrasts with the background. 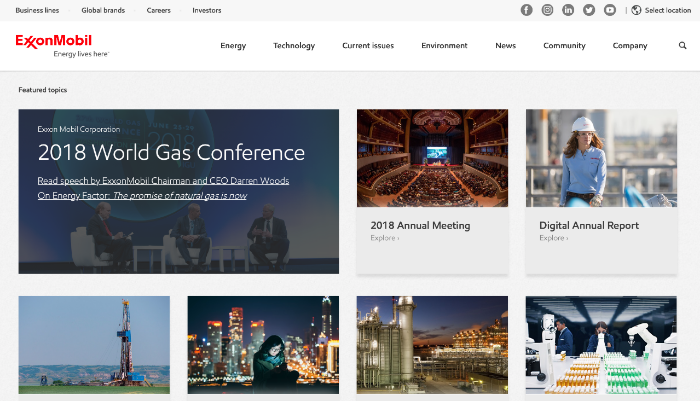 By comparison, Exxon Mobil has a much less user-friendly site search that requires the user to click on a relatively hidden search icon to see the input field. Go ahead, time how long it takes you to find it in the image below—we’ll wait! Make It Easy to Use: Allow enough space for at least 30 characters in the font size used by most visitors, and ensure that the font size is large enough to be read by the average user in a clear and contrasting font. Make It Easy to Find: Place the search box in the top of the screen in the header. If the user is on a mobile device, make sure that the search box is easy to find above the fold (e.g. no scrolling is required). Explain That It’s for Search: Use placeholder text in the search field to make it clear that visitors can use it to search for products. Consider making the input field a default focus for the cursor upon page load to make it even more intuitive. Provide Flexible Results: Provide a “grid view” and “list view” option to help visitors browse search results. Depending on the user preference and product type, they may prefer more imagery than text or vice versa. Search functionality has changed a lot since the early days of eCommerce. In the past, a simple SQL `LIKE` query may have been sufficient to find specific products. But these days, Google has set a high standard with features like natural language processing and machine learning-powered personalization. Prioritize Basic Search: Provide the ability to filter searches on the results page rather than using scoped searches at the onset. If you have categories, set the default option to search the entire site (see Amazon example above). Persist the Search Query: Ensure that the search query is persisted in the input box when the search results page is displayed. That way, the user can easily modify the search without retyping the entire query. Predictive Autocomplete: Enable autocomplete to help visitors find what they’re looking for sooner, as well as correct spelling mistakes. eConsultancy found that about 25 percent of site visitors will click on a search suggestion. Natural Language Processing: Use natural language processing technologies to make it easier to find products. For example, you should implement a synonym tool that helps visitors find items that may go by a different name. Filtered Search to Drill Down: Enable filtered, or faceted search, functionality to allow visitors to narrow down products based on several criteria. There are many other best practices related to site search that are often forgotten or haphazardly implemented. It’s important to think through a visitor’s complete interaction with your eCommerce shop to identify areas for improvement. Optimize the No Results Page: Create a helpful “No Search Results” page that tries to help visitors take the next step. For example, you might include related product information or suggest the most popular products rather than show nothing at all. Don’t Ignore Global Audiences: Provide multilingual search functionality to help visitors find products in their native language; don’t just translate the web pages. If search queries in a foreign language don’t work, and you have a lot of foreign traffic, you are missing out on a huge potential market. Let Visitors Save Lists: Let users save their searches, or create favorite lists, to help them group products to come back to later. This is especially important in certain markets where gift registries are popular. Site search is constantly evolving to help customers more effectively narrow down products they want to purchase. While we’ve covered a lot of the existing technologies, it’s important to understand where the technology is headed in the future to keep ahead of the curve. Mobile Site Search: Mobile eCommerce, or m-commerce, is experiencing tremendous growth, which makes it important to focus on getting the little things right on mobile devices. For example, does your site search permit human errors, such as auto-correct errors, and provide relevant search results? Natural Language Processing: Natural language processing algorithms are constantly improving over time. For example, a customer might search for “cheap dress shoes” and the search results would show low-priced dress shoes rather than just looking at the term “dress shoes.” As visitors become accustomed to accurate search, eCommerce sites without this functionality may suffer. Voice Search: Voice search has moved from a party trick to a helpful way to search, representing about 20 percent of mobile searches. In addition to mobile devices, Amazon Echo and Google Home are becoming increasingly commonplace. 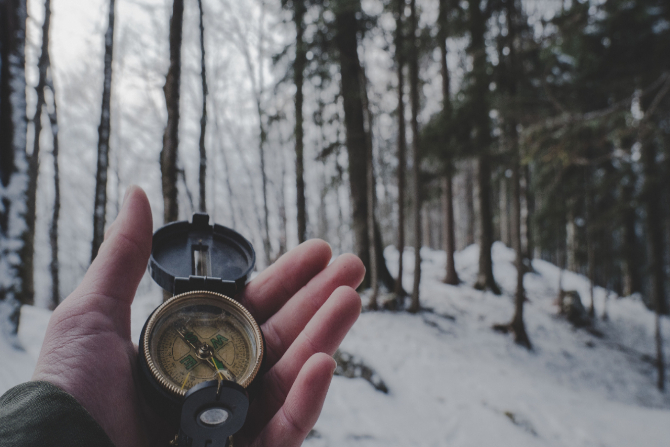 You can prepare for these trends by implementing NLP solutions and adding long-tail keywords to your products to help make them more discoverable to these voice queries. Personalized Search: Machine learning technologies have made it easier for eCommerce companies to offer more personalized search options. For example, these algorithms might look at a visitor’s past browsing behaviors, compare them to similar users to build a profile, and display products that they’re most likely to be interested in. Many eCommerce firms simply use a default site search, which can be frustrating for visitors. Optimizing site search is one of the easiest ways to boost your conversion rate and increase revenue by helping visitors find what they want with less frustration. Fortunately, there are many third-party search tools that make the process easy, such as Solr. Avatria Convert helps eCommerce firms improve their site search, category pages, and other functionality by data mining behavioral data to optimize results. These solutions can help you further refine the site search functionality by sorting results based on behavioral trends to maximize the odds of a user finding products that they’re most likely to buy. We conducted internal A/B testing of actual customers and found that conversion rates improved 40 percent, per-session value increased 56 percent, and overall revenue increased 70 percent with the addition of Avatria Convert to their eCommerce platforms. If you’re interested in learning more, sign up for a free trial today!